BROOKLYN: Uhaul van hits bicyclist critically. 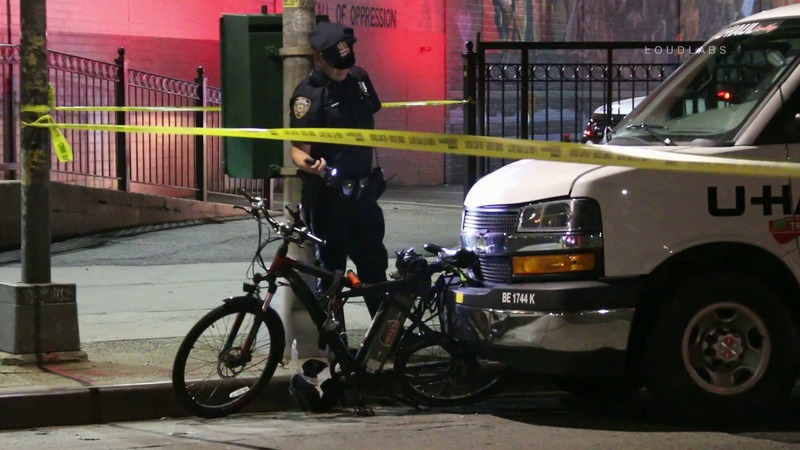 WILLIAMSBURG, Brooklyn – A male electric bicyclist was struck by a Uhaul van around 9:30 pm Monday night at Broadway and Manhattan Ave. The driver, a light-skinned male with tattoos on his face, stayed on scene and was not arrested. No criminality is suspected. The cyclist was transported in critical condition to Belleview hospital in Manhattan. Investigation ongoing.